The originals of the artwork shown here have been drawn on a variety of media. Reproductions might be available in a variety of formats and media ranging from prints on quality paper to high resolution digital files in magnetic or optical media. Kalanchoë. 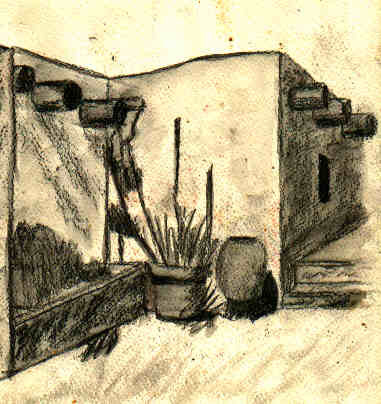 Watercolor pencils (1994), 6"×7"
Desert Botanical Garden. 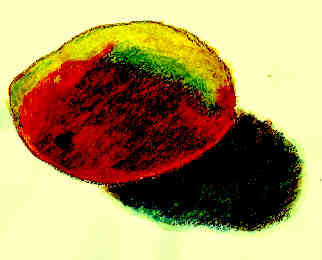 Graphite pencil (1993), 9"×8"
Mango. 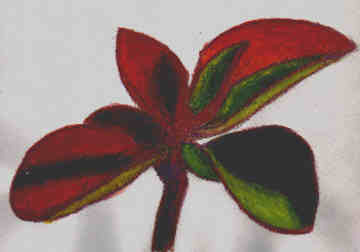 Oil pastels (1994), 6"×8"